Trailer is a campaign for Virat Kohli’s apparel brand. Indian Cricket Team skipper, Virat Kohli, has finally come out with the trailer of his much-awaited short film ‘Trailer The Movie’ on Wednesday (September 26) to break the curiosity of his fans, though, it is actually a campaign to promote his clothing line “Wrong”. For a few days now, Kohli has been posting teasers and posters for Trailer The Movie on social media, though, it was quite clear that this was only a campaign, as the dashing right-hander is the public face of numerous ad campaigns, but the fans were intrigued to know what that was actually about. 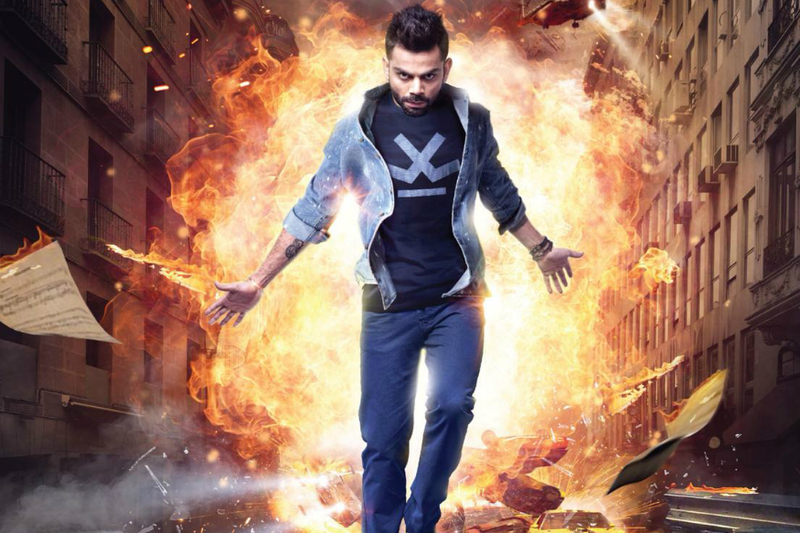 On Wednesday, Kohli shared a video on his Twitter handle, where he can be seen as an angry young man and as a superhero promoting his clothing line “Wrong”, while the trailer begins with a heavy voice narrating the plot and the skipper can be seen walking against the backdrop of an explosion. In the video, the 29-year-old can be seen poses on a building overlooking a city in ruins, poses with guns and also pretends to be in a car chase, while Aliens, mad terrorists, evil super villains, dinosaurs and even zombies are attacking the world here.